Hello there fine readers! Welcome back from our week long hiatus, and back to our first Sunday Matinee in quite sometime. And we have an amazing film to showcase for you fine folks! 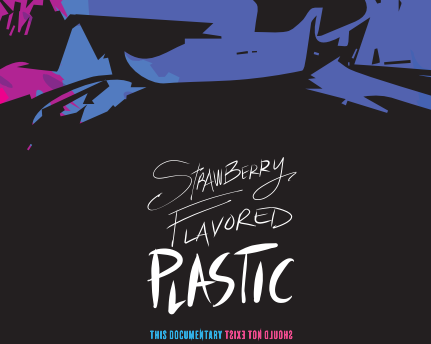 In our last interview with indie filmmaker Colin Bemis, we promised you we would talk a bit about Strawberry Flavored Plastic. A film that is poised to be one of our top 10 films of the 2018. I thoroughly enjoyed this movie just so damn much. And while everyone truly acted their asses off in this film, a huge shoutout has to go to Aidan Bristow. This man had be feeling literally anxious and a bit on edge. His role as Noel Rose is the type of stuff that legends are made of. And of course, an actor is only as good as the writing, and our man Colin Bemis has written the hell out of a story and has been kind enough to share it with the world! Another shoutout has to go to the brilliant Bianca Soto who comes in extremely strong as well. Again, I can not say enough great things about Strawberry Flavored Plastic. It is a brilliant debut film from our new friend Colin Bemis, and I can not recommend it enough. So be sure to check it out when it hits VOD or a theatre near you when it drops!